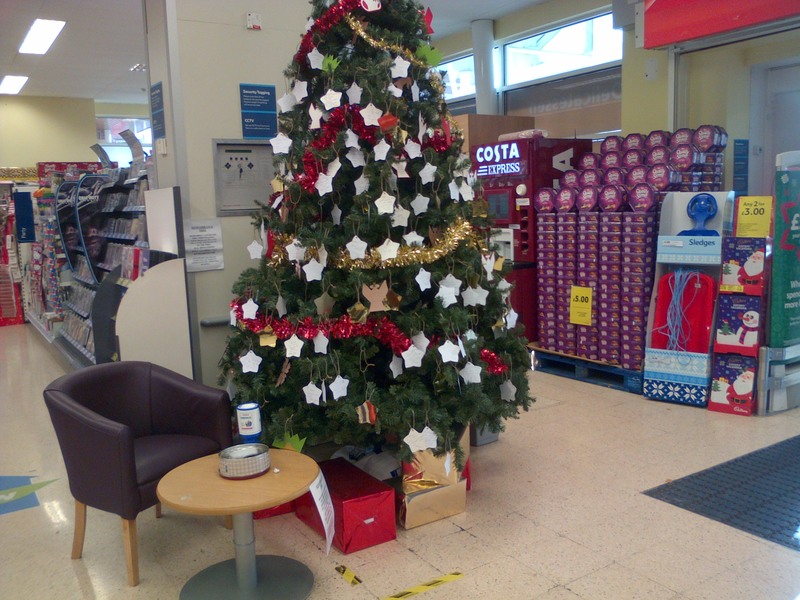 Tesco Kidsgrove have again put up a memorial Christmas tree at the entrance to the store where customers can leave messages for loved ones no longer here to celebrate Christmas with them. The messages are written on a star which is then hung on the tree. Every year the tree gets more popular and last year 1558 star messages were left on the tree which were taken to a local church on Christmas eve to be blessed. A small donation can be made when leaving stars with the money collected going to Diabetes UK and the British Heart Foundation, last year £1013 was raised.